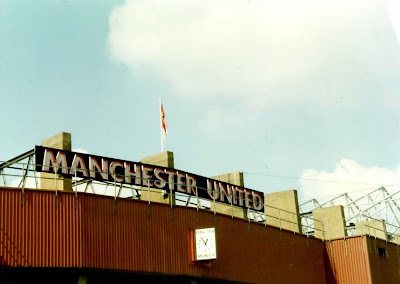 Old Trafford is located close to the banks of the River Irwell, just to the south west of central Manchester. The ground has been home to Manchester United since 1910 when the club moved from their previous Bank Street stadium. 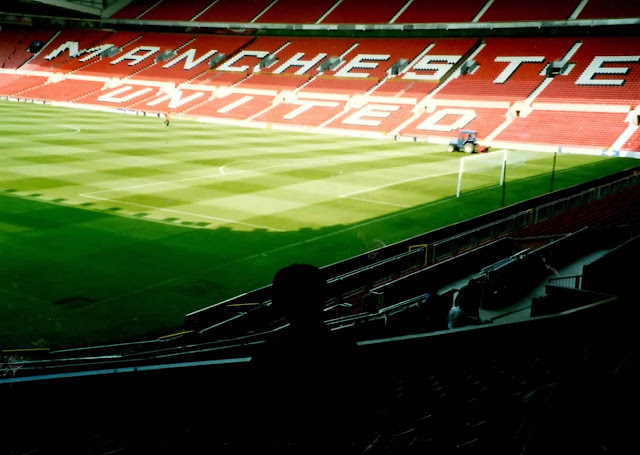 I visited Old Trafford on two occasions during the 1990s - on 19th August 1996 and 27th December 1999. Both of these trips were for stadium tours of the venue with my first visit to a game coming on 28th October 2015 (see here for more up to date report). The venue has been changed greatly since my initial visits with frequent expansion to increase capacity as the club's popularity increased. 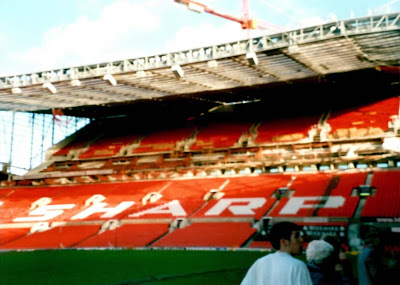 When I visited in 1996, Manchester United had just finished the building of the new North Stand, a three-tiered structure with a capacity of around 25,500. During my next visit in 1999 the club were in the process of adding a second tier to the East Stand, giving it an increased capacity of just under 12,000. Soon after a second tier was also added to the West Stand giving it a 12,000 capacity as well. The most recent developments to Old Trafford, finished in 2006, consisted of adding second tiers to the north-west and north-east quadrants. This raised capacity to 76,212 although seating reorganisations carried out afterwards have since reduced this to slightly under the 76,000 mark. The only stand not to have been radically altered in recent years is the South Stand. This remains the only single-tiered structure in the venue and can hold about 11,500 fans. Developing the South Stand to bring it up to the size of the other stands in the ground has been touted recent years. This could potentially increase capacity to around 95,000 although the existence of a railway line directly behind this stand could affect any decision.